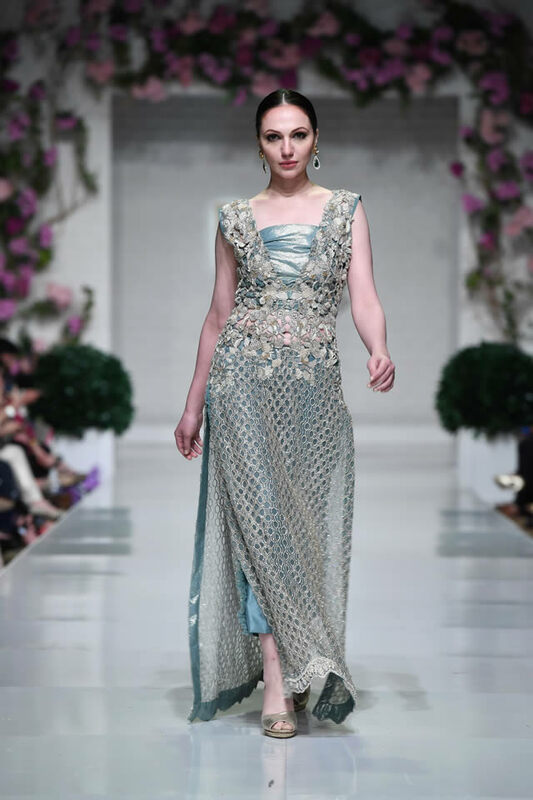 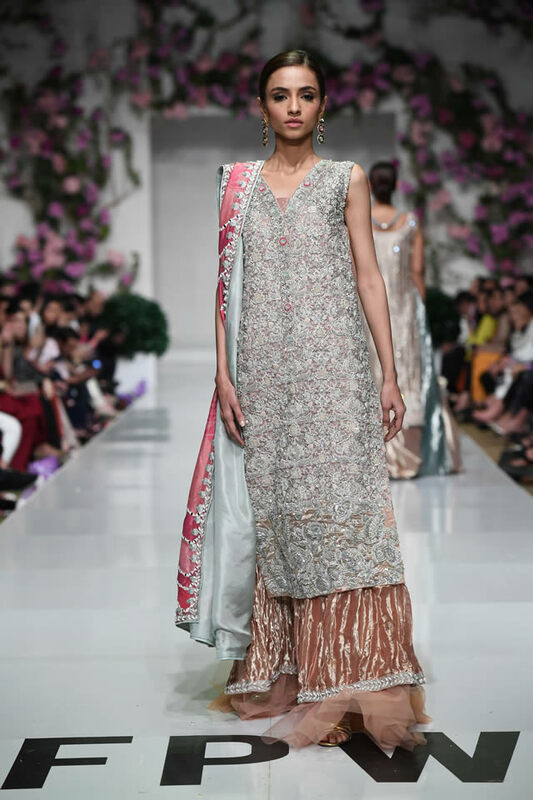 n encounter between hues, textures and movements – delved in to Saira Shakira’s latest collection ‘Euphoria’. 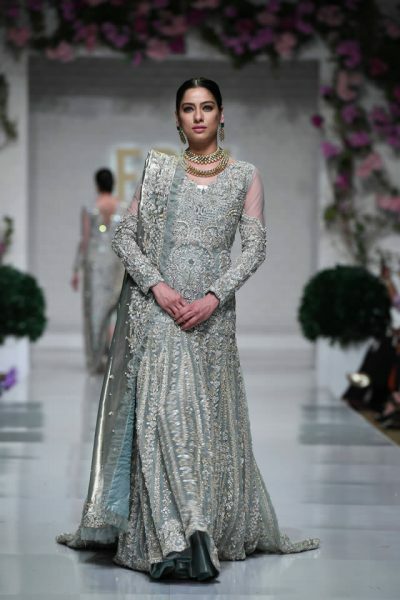 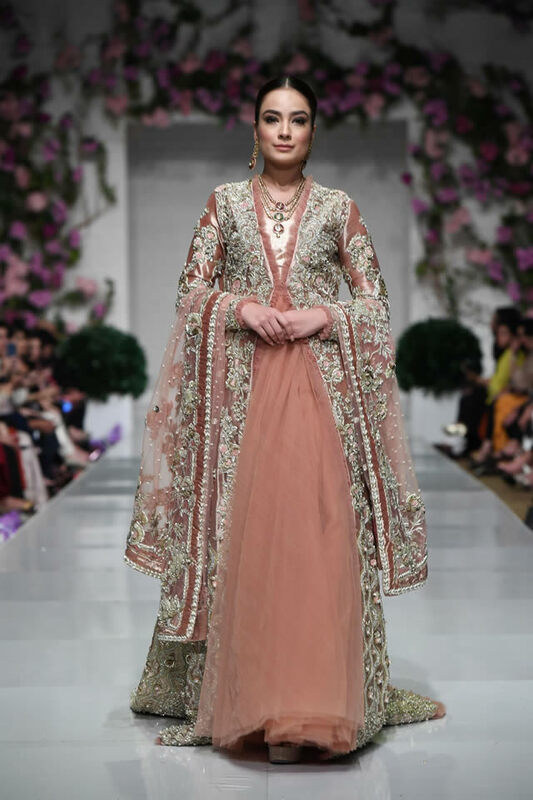 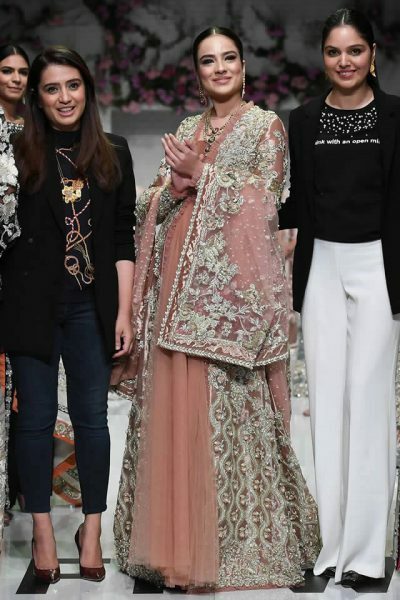 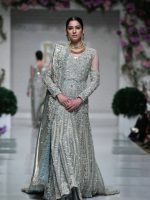 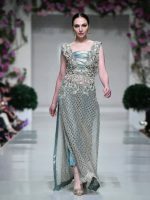 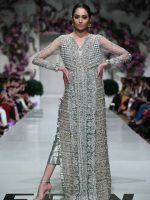 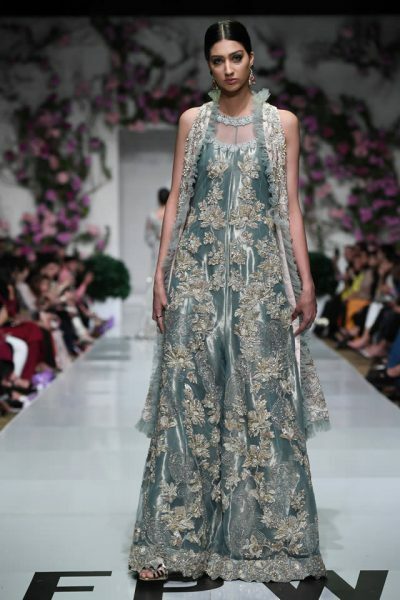 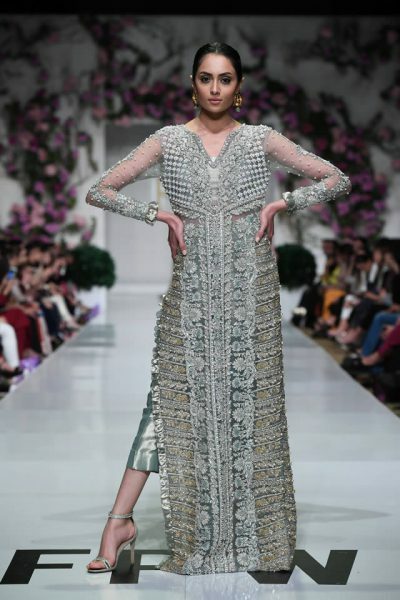 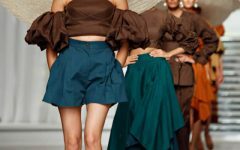 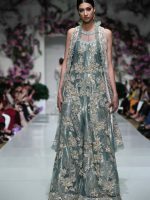 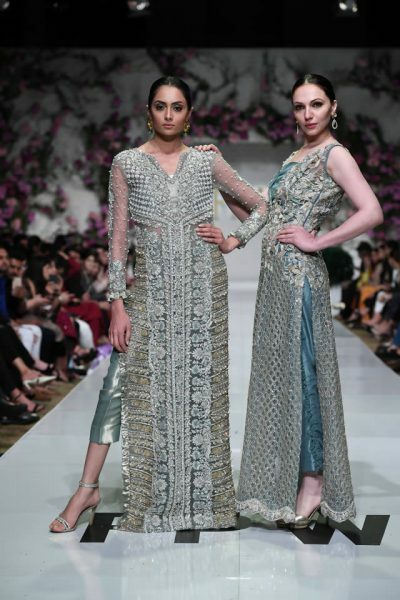 It was a collection that represented the intense feelings of wellbeing through intricate embellishments of motifs, sleek necklines and unmatchable gold work artistry. 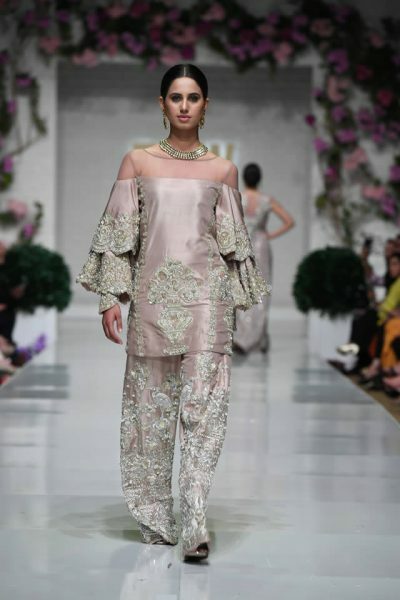 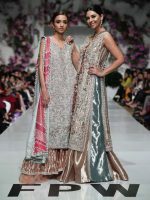 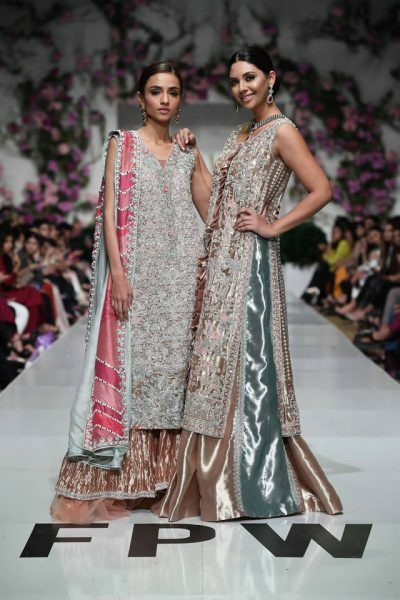 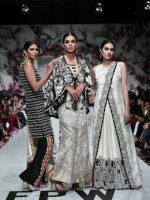 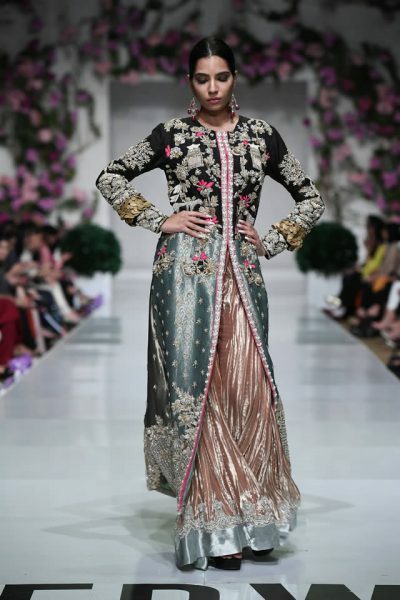 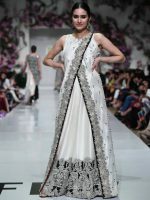 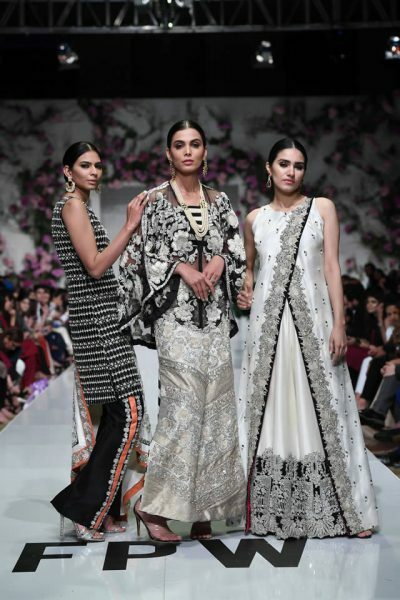 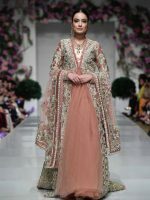 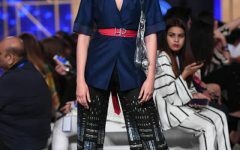 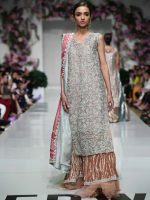 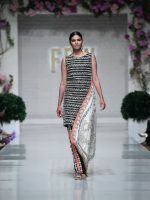 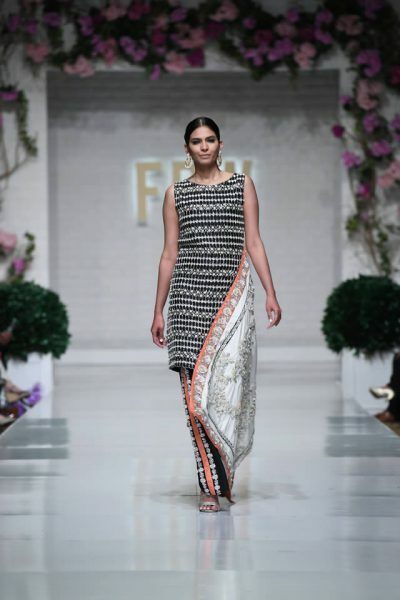 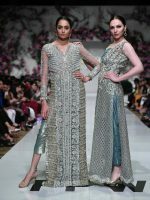 Saira Shakira used rich fabrics like hand-woven nets, jamawar, pure silks, velvets, custom digital printed silks and organza on monochromes and elegant colors, making her ‘Euphoria’ collection, timeless and regal. 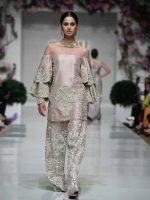 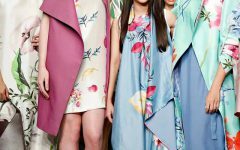 The lavish yet summery signature designs dazzled on the runway and made for perfect Spring/Summer trends.